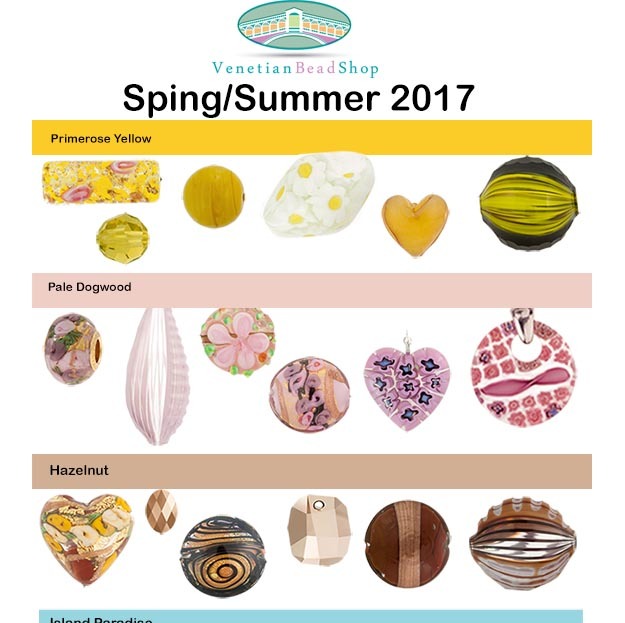 We provide you with our suggestions to match those of Pantone and Swarovski, industry leaders and our recommendations of our authentic Murano Glass Beads as inspiration. 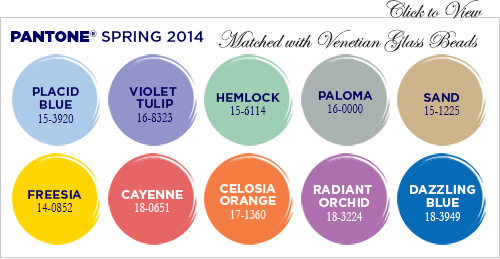 For a quick look at Pantone's Colors for the upcoming season and how you can use our Venetian Glass Beads, take a look here. 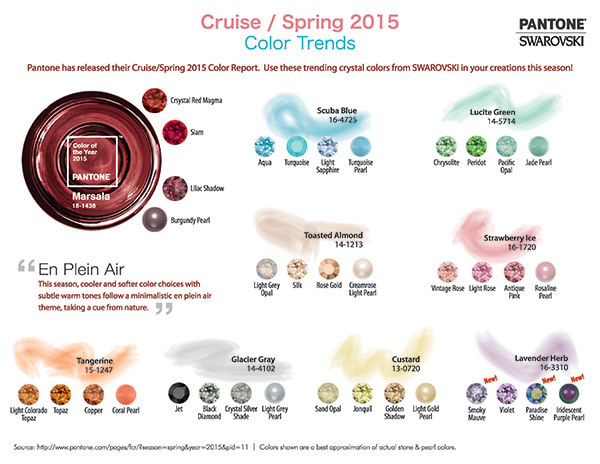 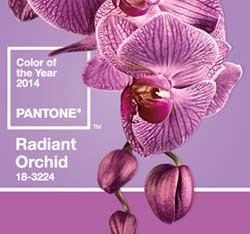 Click here or on the picture to go to the full color chart or click here for a printable PDF. 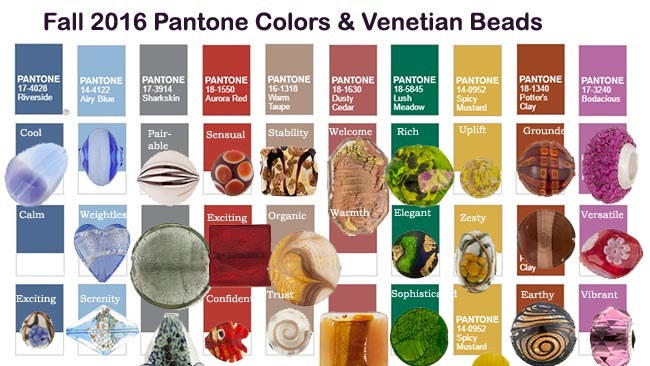 To see all colors and link directly to our Venetian Beads, click on the image below. 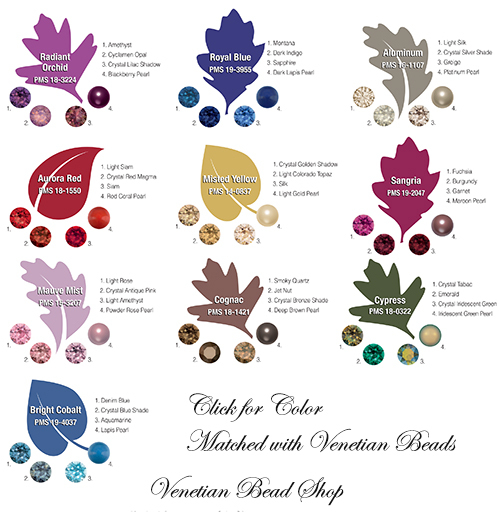 Fall 2015 Swarovski Color Projections Click for a Printable PDF with the Swarovski's selection of Crystals to match the colors of Fall. 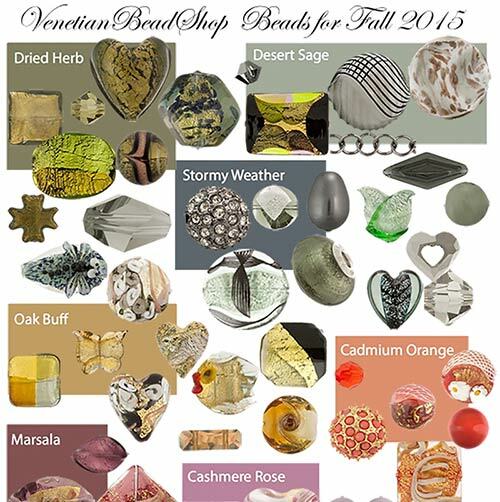 For a selection of matching Venetian Beads, click on the picture. 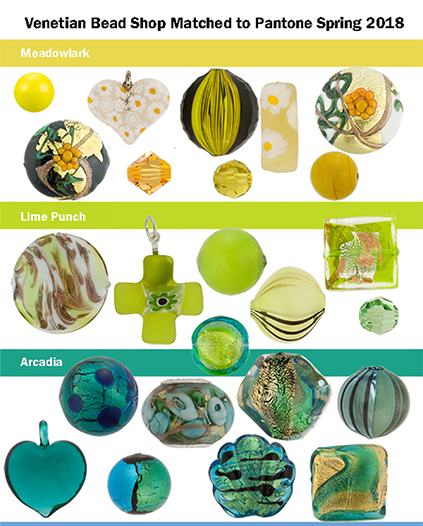 Swarovski Spring and Summer 2013 Here's the Swarovski Spring and Summer picks of color matched to our authentic Venetian Glass Beads to help you select the beads to make your jewelry. 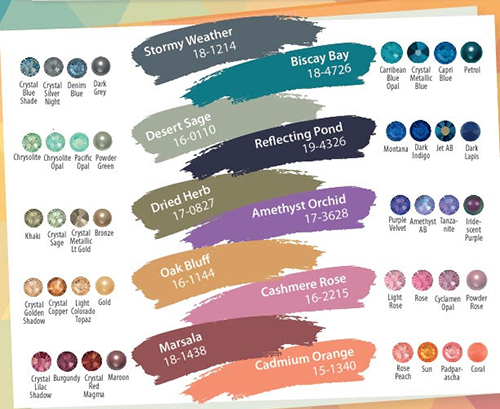 You can see all the colors at a glance and then select the palette you prefer by clicking on the picture to find all the supplies you need to create your perfect spring and summer baubles.